I really am loving the alphabet project. It has got me thinking about what to photograph instead of just taking random snaps. This week I found tough, all I could think of was ice creams and ice lollies, even though there has been a distinct lack of sunshine lately!!! Inspiration struck when I was getting dressed yesterday. 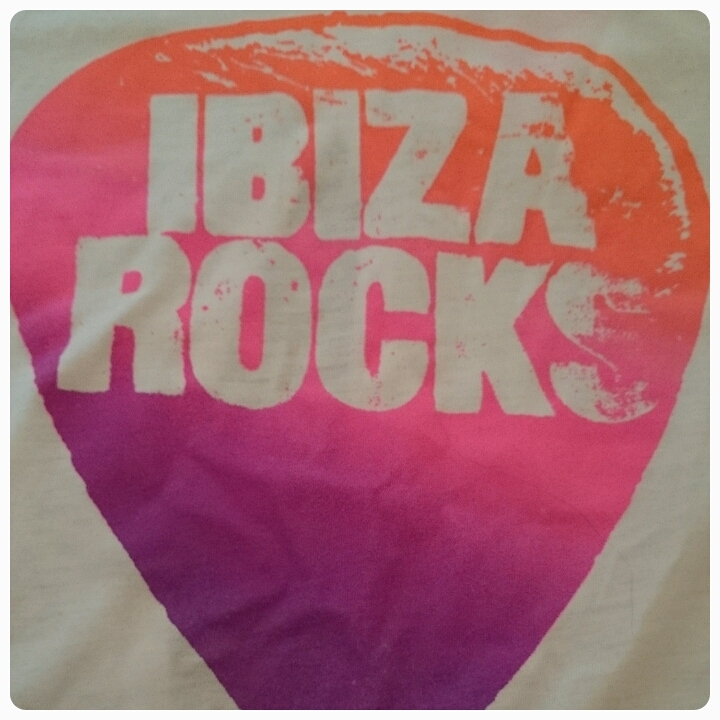 I most definitely stands for Ibiza as it really does rock!! This has become the favourite holiday destination. Daddy Hazelden has been there 6 times, I have been there 4 times and we've taken the family there 3 times. This place holds a lot of memories for us. Apart from lost luggage last time, which wasn't technically Ibiza's fault, we have always had brilliant holidays there. From the food, to the people and the stunning sunsets, it is somewhere we will continue to go back to!!! I've never been to Ibiza, but it sounds brilliant. Thanks for the book recommendations too, it's always great to add to my 'must read' list.